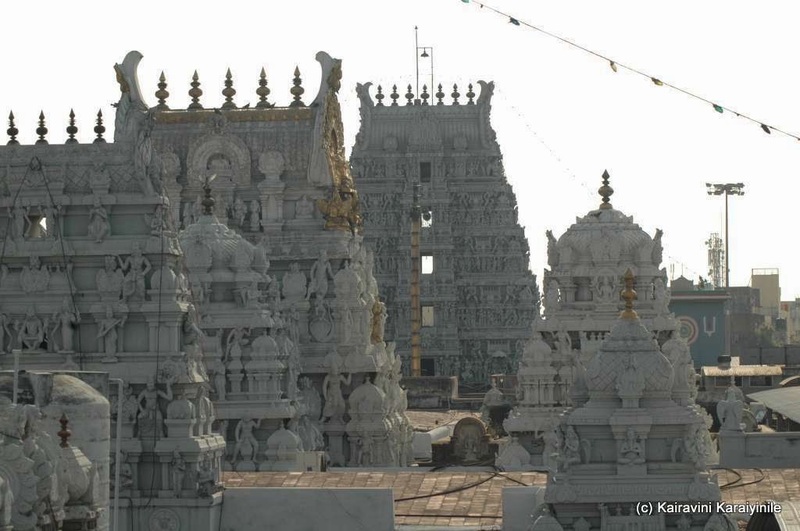 The recorded history of Chennai city [Chennapattinam aka Madras] began in the colonial times, specifically with the arrival of British East India Company and the establishment of Fort St. George in 1644. 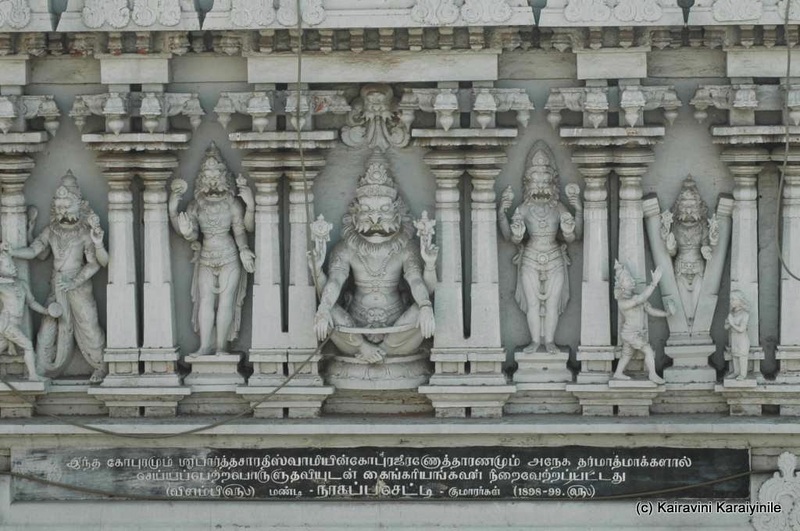 Centuries before that existed this great temple at Thiruvallikkeni, sung by Azhwars; there is enough epigraphic evidence confirming the existence of this temple on the banks of Bay of Bengal, from the time of Pallava kingdom and much before. 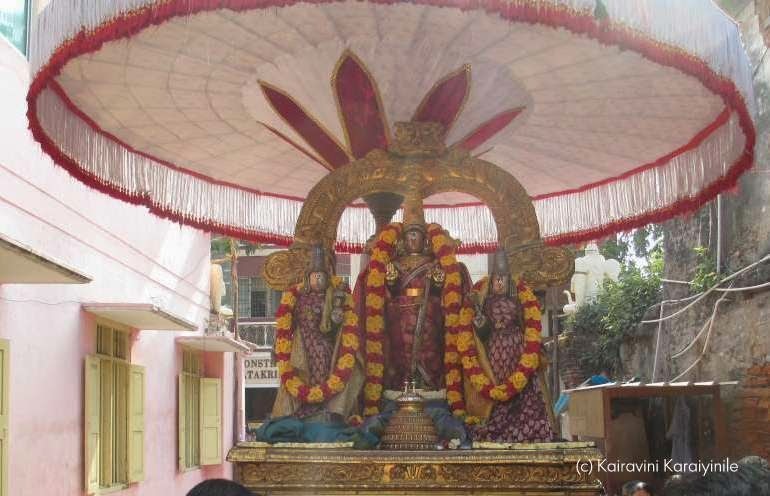 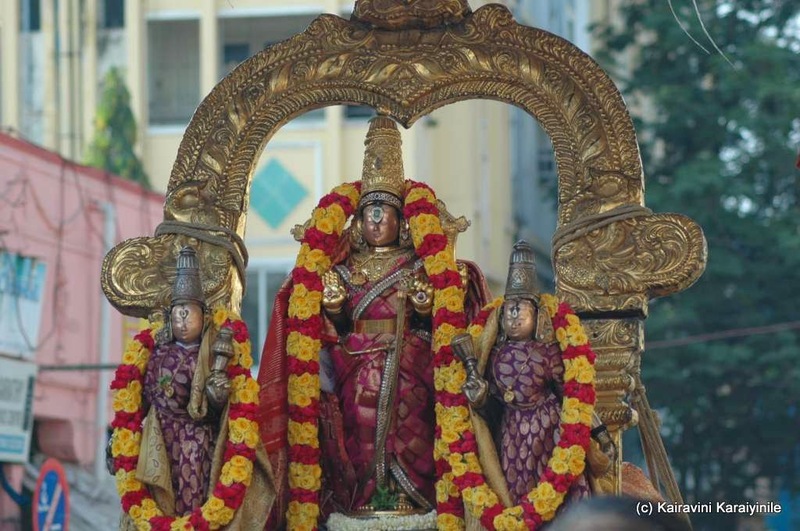 In this divyadesam – there are separate sannathies for Sri Ranganathar, Sri Ramar, Sri Varadharajar and Sri Azhagiya Singar. 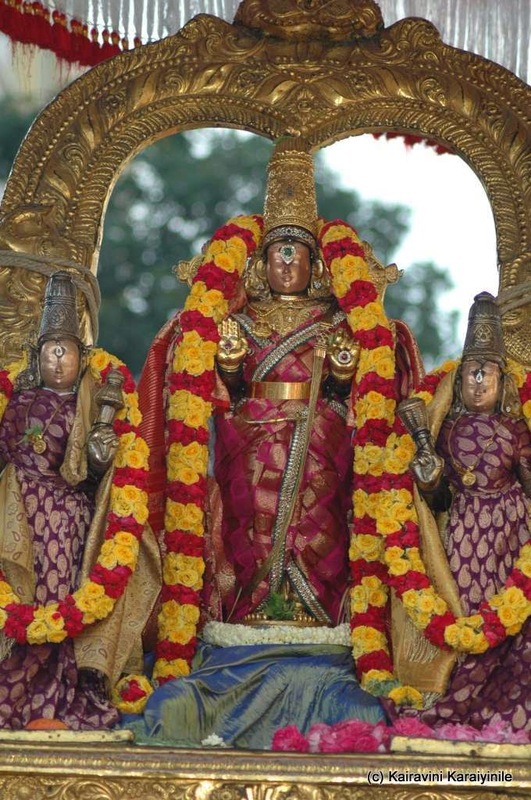 In this divyadesam, there are two dwajasthambams – one for Sri Parthasarathi and the other Sri Thelliya Singar,whose moolavar is in yogic posture and known as ‘Yoga Narasimhar’ … Sri Azhagiya Singar has 10 day long brahmothsavam in the month of Aani (Aani Thiruvonam) … as I have been writing, 3 day thavanothsavam for Sri Azhagiya singar is now on and today (22nd Mar 2014) is the concluding day.